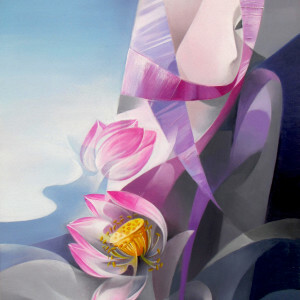 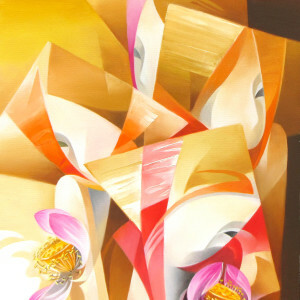 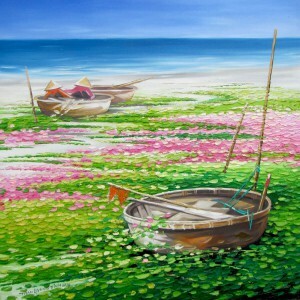 In Vietnam peach blossom signifies the beginning of the Lunar New Year. 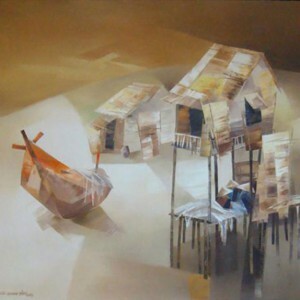 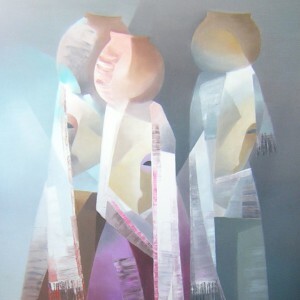 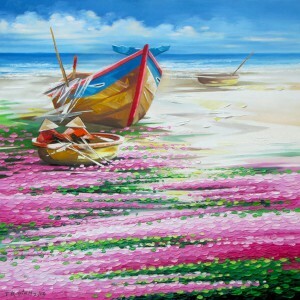 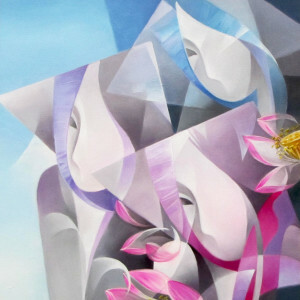 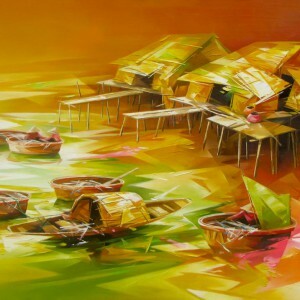 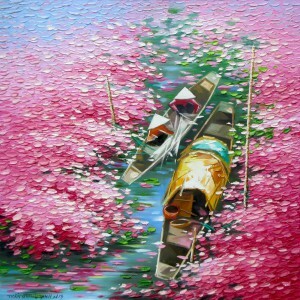 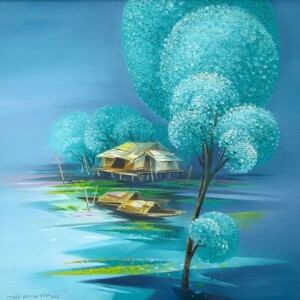 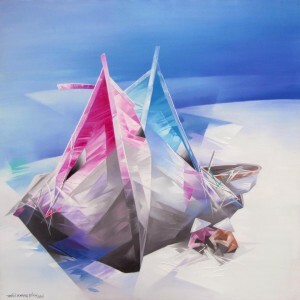 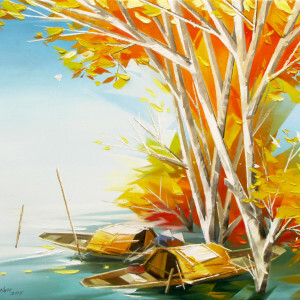 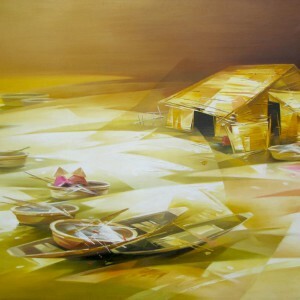 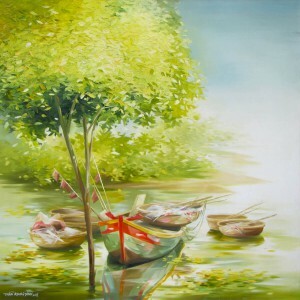 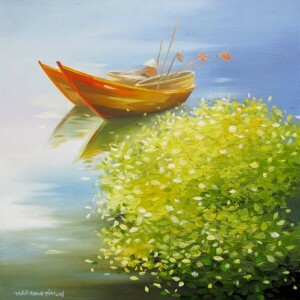 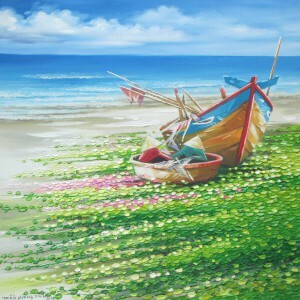 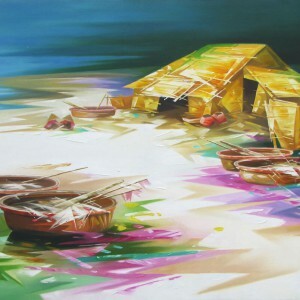 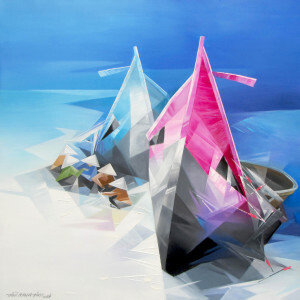 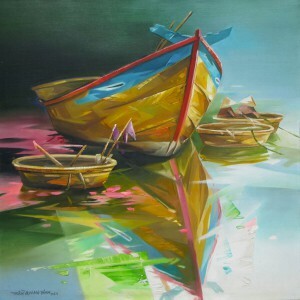 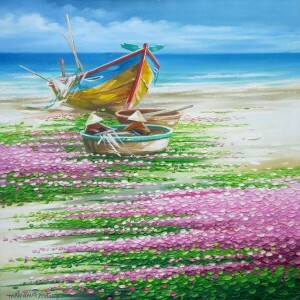 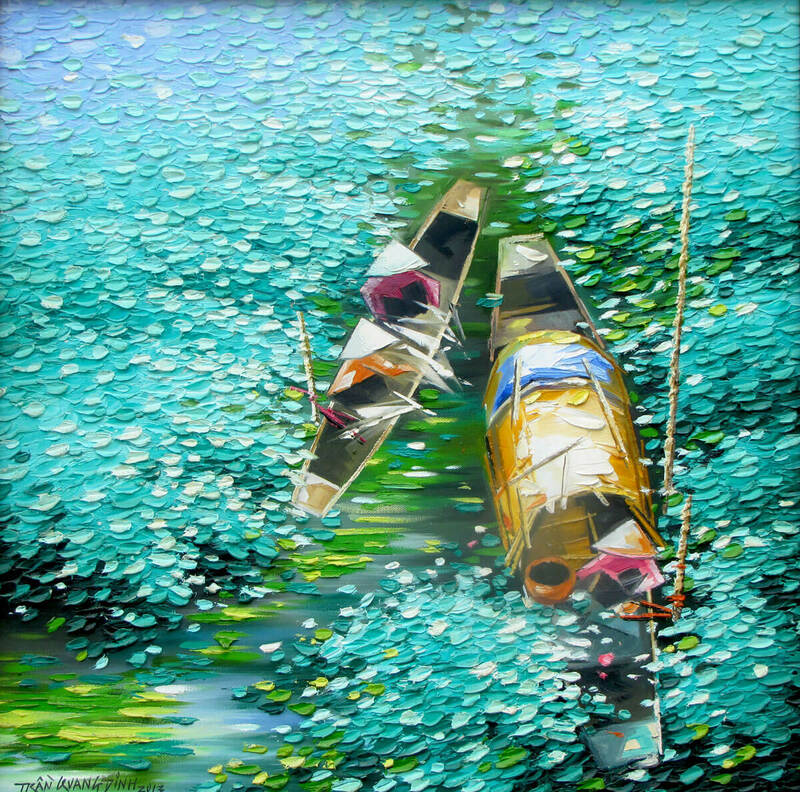 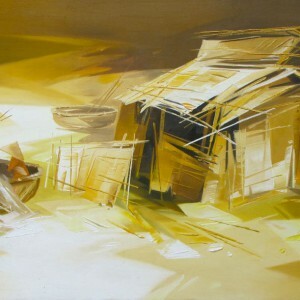 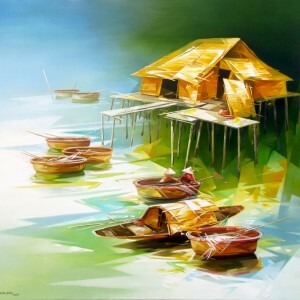 In this beautiful piece, contemporary Asian painter Tran Quang Dinh paints two boats with rural folks making their way through the waters covered with blossom. 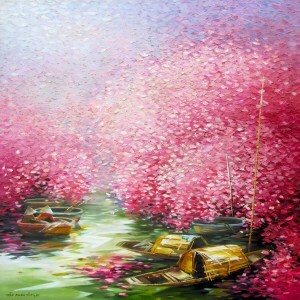 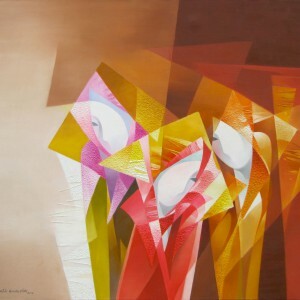 The blossoms are shown to be in a control of the whole composition; everything else being secondary to them.